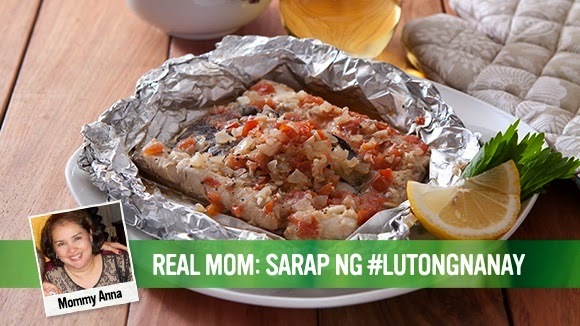 Try Mommy Anna's delicious Bangus Belly fillet made even better with Knorr Liquid Seasoning. An easy but flavorful recipe for your kids and family. 1. Wash the bangus belly fillet thoroughly and pat dry. 2. Marinate bangus in mixture of olive oil, garlic, black pepper, onions, tomatoes, ginger, lemon and, Knorr Liquid Seasoning. 3. Wrap in foil and cook in the oven for 30 minutes (350 degrees celcius) or until brown.